HOPE Family Resource Center joned forces with area Challenge Houses to provide reading enrichment thorughout the summer to battle the summer reading slide. 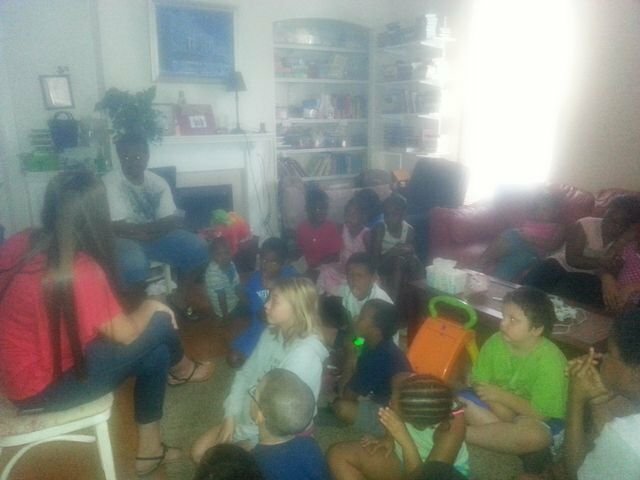 MLK faculty and staff volunteered to visit Challenge Houses weekly to share a story and activity and engage neighborhood kids in discussions to model and encourage summer reading. Ron Gager, MLK's HOPE FRC director scheduled the volunteers and provided snacks and incentives for students.